iBusiness Suite Service ERP can be implemented for the facility management requirements of M/s. Smart City. End to end automation of Facility Management Services can be routed and managed using iBusiness Suite ERP. 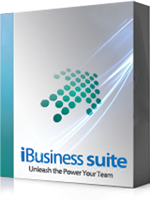 iBusiness Suite Service ERP can be implemented for the facility management requirements. End to end automation of Facility Management Services can be routed and managed using iBusiness Suite ERP. Facility Management is an integrative field devoted to an equalized space, infrastructure, people or organization, often associated with the administration of office blocks, arenas, schools, sporting complexes, convention centers, shopping complexes, hospitals, hotels, manufacturing, shipping, etc. The integration of processes within an organization is made possible with perfect control and this improves the efficiency of the organization. FM is subject to continuous innovation and development, under pressure to reduce costs and to add value to the core business of the public or private sector client organization. iBusiness Suite is capable of handling the facility management transactions between the service providers and the customer. Facility Management Operations module takes care of operations management and tracks facility management activities that are to be carried out on a day to day basis. In facility management, there are duties that need to be carried out in a scheduled manner as well as the certain on-demand basis. 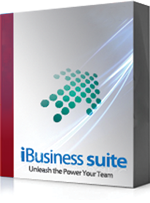 This functional feature of iBusiness Suite takes care of both. You can define schedules and shifts of duty cycles, and can also assign vendors for the same Supervision and Inspection can also be part of the schedule. Helpdesk Management module is also available as part of facility management so that the on-demand requirements can be addressed and accommodated with accountability. This module addresses vendor management, vendor evaluation, contract management and also the periodic renewal of contracts. Maintenance, testing, and inspection schedules are required to ensure that the facility is operating safely and efficiently, to maximize the life of the equipment and reduce the risk of failure. There are also statutory obligations to be met.